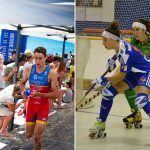 This December will take place in Brussels an international symposium about the optimization of the employability of athletes, which will serve to put an end to the European project B-WISER (Be a Winner in Sport and Employement before and after Athletic Retirement), which lasted two years. By identifying support structures and existing measures, the competencies required by athletes and the added value for entrepreneurs, B-WISER aims to optimize the employability and employment of athletes in three specific professional stages: when they are active in elite sport; when they are retired or are being withdrawn from elite sports and prepare for a first job; And when they are working on their post-athletic career. The international symposium on the closure of the B-WISER will take place on December 12th at the Health Campus of the Vrije Universiteit Brussel, in Belgium. In addition to reflections by international experts on the results, the value and implications of the B-WISER project, the program offers parallel workshops where participants will learn how to use specific tools and instruments to work with active and retired athletes . The Susana Regüela, head of the Education Unit, Anna Benito, head of the SAE (Athlete’s Attention Service) and Marina García, from the SAE and the UAB, together with the CAR, participated in this project. with the GEPE (Group of studies of physical activity and sport) of the UAB, with Miquel Torregrossa, Anna Jordana and Yago Ramis.